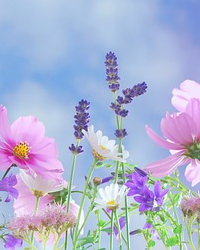 Obituary for Ruth A. Sterner | Kenworthy Funeral Home, Inc.
Ruth A. Sterner, 72, of Hanover, PA, entered God’s eternal care, Monday, October 22, 2018 at UPMC Pinnacle Hanover Hospital. Born December 16, 1945 in Sparks, MD, she was the daughter of the late John D. and Lulu M. (Cullison) Alban. Ruth graduated from Eichelberger High School in 1963. She worked for Doubleday for two years after high school, saving up money to attend college. She attended York Junior College for one year and transferred to Moorehead State University in Moorehead, KY. In 1969 she earned her B.S. degree in Business Education. Upon returning to Hanover, Ruth taught for twenty-three years at Hanover High School, teaching various business subjects. While teaching, she pursued a Master of Education Degree from Shippensburg University and graduated in 1971. Ruth retired from teaching in 1993. Ruth was a member of Bethel United Church of Christ, Spring Grove, PA.
Ruth enjoyed spending time with family and friends, but her heart was teaching students. Ruth is survived by her sisters, Dorothy Tawney, Betty Bannon and Peggy Stuffle, all of Hanover, a brother, Norman Alban of Abbottstown, PA, and eleven nieces and nephews. She was preceded in death by a sister, Helen Eppley and a brother, Thomas Alban. A memorial service to celebrate and remember Ruth will be held 11:00AM, Friday, October 26, 2018 at Bethel UCC, 2112 Yingling Drive, Spring Grove, PA, with her Pastor Susan Fritz officiating. Burial will be private and at the convenience of the family. 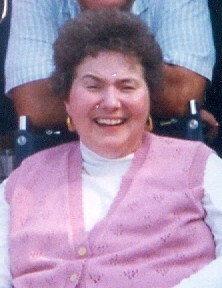 In lieu of flowers, contributions in Ruth’s name may be made to Bethel UCC, 2112 Yingling Drive, Spring Grove, PA 17362.